When a devastating flood takes out several homes in a small town, residents are shocked by the news of also a possible poison spill that kills many of the fish and neighbor's pets. Julia, the town's newest reporter, begins her investigation but realizes the story is much bigger and more dangerous than she thought! Julia and her husband find themselves on the run trying to save their lives while finishing the story of a lifetime! She never realized that being a reporter could be so dangerous. With artifacts, dead fish, a devastating flood, and miscreants, John and Julia have their hands full. 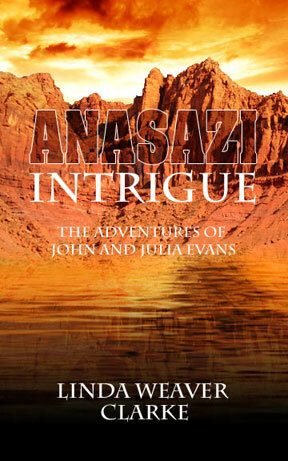 The discovery of a priceless artifact puts Julia's life in great danger! 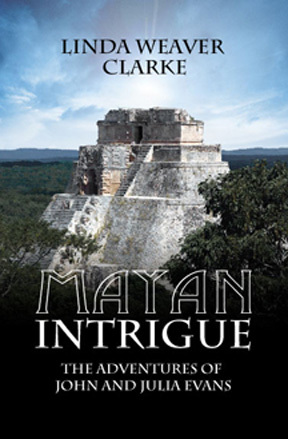 While on assignment for the newspaper, John and Julia Evans try to enjoy a romantic vacation among the Mayan ruins. When Julia sees a couple suspicious men exchanging an item, she quickly turns and leaves but it is too late. The men have seen her. As a reporter, Julia does not easily give up and her curiosity gets them in a mess of trouble. Before John and Julia realize what is going on, they are both in danger and find themselves running for their lives through the jungles of the Yucatan. When a leather parchment of Montezuma's map is found in great-grandfather Evans' old chest, April and the twins know this summer is going to be a memorable one. The girls want to search for it but their father is against it for some mysterious reason. With Julia's help, she and the girls convince John to go on a treasure hunt. 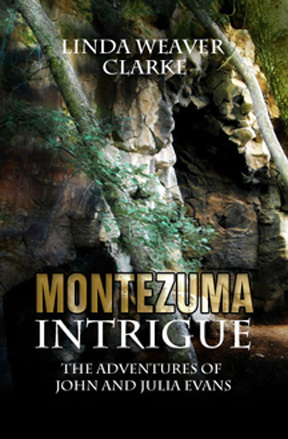 Is Montezuma's treasure a legend or reality? Whatever the case, John insists on keeping their little treasure hunt a secret. If certain people find out about it, the family could be in danger. When Julia's brother announces that his dude ranch is haunted, she believes that someone is trying to sabotage his place and force him to sell. The mysterious happenings have to do with Superstition Mountain, the lost Dutchman's goldmine, and the great Thunder God. Is it possible that the legend of the Thunder God is actually true? After a terrible thunderstorm, everyone begins to wonder. 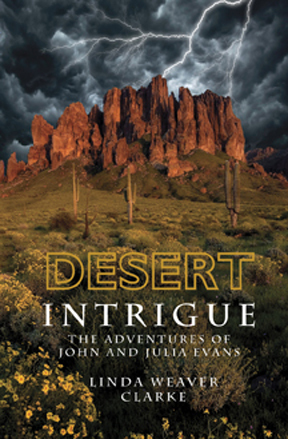 John and Julia quickly head to Mesa, Arizona and discover a few mysterious events. Will they find out who is behind these disasters before Uncle Kelly's dude ranch is ruined?